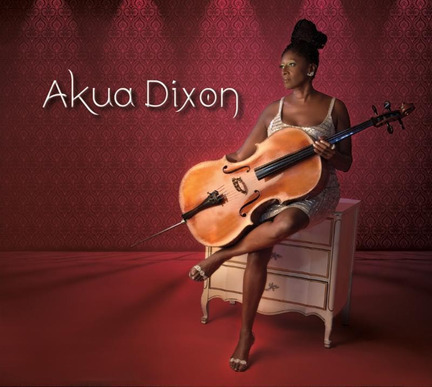 Akua Dixon made a baffling choice in self-titling her second album, which features the cellist in a string quartet, plus special guests. It’s a declamatory presentation, but what is she declaiming when she solos exactly three times on the entire album? That said, Akua Dixon is a beautiful, sometimes exquisite recording. Its flavor is much more chamber-classical than jazz, compared to, say, the Turtle Island (String) Quartet. 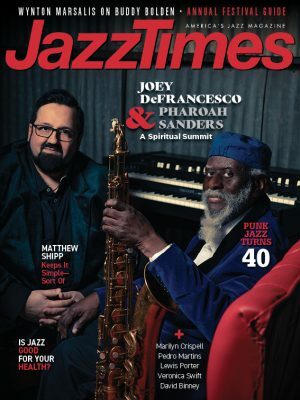 Most of it doesn’t swing, except for the opener, “Haitian Fight Song,” Ellington’s “Freedom” and the second half of “Lush Life.” Otherwise it adheres to European tradition-Dixon’s “Moon River” bassline alludes to Bach’s cello prelude-or the ballroom. The latter defines the Latin arrangements: not only “Besame Mucho” and “Libertango” but standards “Alone Together” and “Poinciana,” all of which essentially become tangos (very elegant, danceable ones). Guests include violin soloists John Blake Jr., who shines on “Haitian Fight Song,” and Regina Carter, who shines on everything she touches (“Freedom,” “A Gozar Con Mi Combo,” “Libertango”); bassist Kenny Davis, whose appearances allow Dixon to thicken the ensemble textures rather than vamp; and, on “Haitian Fight Song,” drummer Orion Turre, Dixon’s son. Her daughter Andromeda Turre also appears to sing “Lush Life,” a version that is close to definitive. This, and the aching rendition of “Moon River,” with solos by violinist Patricia Tomassini and violist Ina Paris, is the album at its most transcendent. As one of her solos, Dixon sings a wordless improvisation on “It Never Entered My Mind.” The others comprise a moaning romance on “Alone Together” and a defiantly staccato arco line on “A Gozar.” That she doesn’t solo on the two aforementioned best tracks might say something about the importance of artistic selflessness. Still, good as it is, it’d be nice to hear more of Dixon on her namesake album.